I don’t even know where to begin when talking about the Troubles of Belfast in Northern Ireland; we recently visited the town of Belfast and learned about the city’s colorful history. The political disputes have been going on for essentially over 100 years, but the Troubles began in the 60’s around the time a peaceful civil rights campaign began and soon after, riots. And, quite frankly, it is so baffling that I still can’t wrap my head around what it all entails. I’m not going to pretend I understand everything behind the history of the city, and I don’t want to give a shallow or uneducated view on the Troubles, but I feel it’s important to try to understand a city’s history, so please bear with me when I share our experience and the stories we learned. A very brief version of the story is that Northern Ireland is separated into two groups–the Loyalists and the Nationalists, who are divided mainly by political beliefs. The main focus of the divide was that the Loyalists wanted to remain a part of the United Kingdom while the majority of the Nationalists wanted to leave the United Kingdom and join a united Ireland. Although the majority of todays Northern Ireland citizens want to move past the discord, the reality is that there are groups of people who can’t move forward and the feud is still going strong even today. Thankfully, the city center is neutral ground and residents can interact freely there, but the neighborhoods surrounding the city are where the trouble is located and many residents have never even stepped foot on the ground of the opposite side of town. A Peace Wall was built in the 70’s to separate the city into two parts dividing the Loyalists and Nationalists; this wall still stands today, and many of the roads have gates that close every evening to keep the separation at bay and “peace” in the air. The houses on either side of the wall have gates covering their backyards and bullet proof windows to protect them in case of a shooting/bombing/etc. attack as they are right on the front line. There are people who have never ventured to the opposing side of town even though it is so close. And the most confusing part about all of this is the majority of the residents actually want to keep the peace wall up because they don’t feel safe without it. This is all happening even still today, in a developed Eastern European country; granted the city has seen strides of improvement since the political problems began. Even though, it is still hard to wrap your head around. All this being said, Belfast is not an unsafe city to visit–quite the opposite in fact. Belfast is a vibrant city full of excitement, and as long as you don’t directly try to get involved with the conflict, you shouldn’t have anything to worry about. Even when there are political parades every summer, the police do a good job at keeping the riots under control and contained, and like I said before, these events usually happen outside of the city center anyway. After reading about the history and current situation of Belfast, we decided we had to take one of the Black Taxi Political Tours to find out more information and get a glimpse into the history of the city and the politically infused murals. Because our flight arrived in the morning and we would have to wait a few hours to check into our hotel, we decided to start our tour at the airport. Paddy Campbells Famous Black Cab Tours was the tour company we picked and they have the option for a pick up or drop off at the George Best Belfast City Airport for an additional £10 (the international airport would cost more as it’s farther away), so we decided it would be our best option. The tour itself was £30 for up to three people and an additional £8.50 per person above three, and it lasts about 1-1.5 hours. 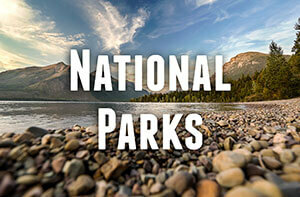 There are a variety of tours offered, or you can create one to suit your own needs as well. Our driver, Brendan, picked us up at the airport shortly after we landed and the tour started straight away. All of the black cab tour guides have grown up in the region and have direct personal experience with the history of the Troubles in the area; however, the guides are from both sides of the conflict and they are supposed to be unbiased on the tour. The guides will have many of their own personal stories to share with you if you ask, but beware, the Northern Ireland accent is a breed of its own! It can be very hard to understand everything due to the accent, but we had a great guide and were able to understand most everything he was saying. The Political Murals and The Peace Line Tour explores the Falls and Shankill areas which are the main areas where the Troubles occur. 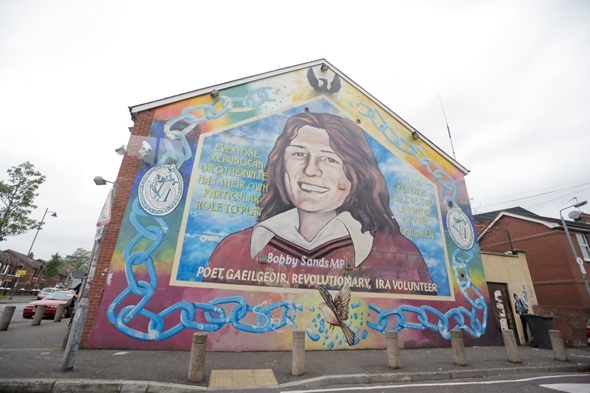 Each mural has its own politically infused story; the most known mural is probably the mural that was dedicated to Bobby Sands, a republican who died on a hunger strike in prison. We also stopped along the popular area of the Peace Wall where people write messages and send wishes to the community–Bill Clinton has even signed this wall. I have heard that there are mixed opinions about writing on the wall, but you will have a chance on the tour to get out and sign if you wish. Currently, there are 99 sections of the wall in place with gates that close each evening, and there is a big discussion on whether the walls should be torn down, but the government is leaving the decision up to the people as they are the ones that the wall and gates were built for in the first place. Whether the walls will come down anytime soon or not, the city’s history will live on in tales of the violent history that plagued the nation. When you are in the area, you will have to take the tour to hear all the crazy stories first hand. Have you been to the Belfast Murals? What is your opinion on the Troubles? I love your blog! I understand the divide! I do not understand the on going violence. There are other ways to change things. Violence is always the last resort. I love history it always teaches us something. Look at Israel it’s very similar only the government and military are involved. Thanks so much! 🙂 Totally agree with your thoughts. I always love history too–so interesting to learn about everything! Great post! You really capture the essence of being there. We want to write about this one, but just haven’t gotten around to it (yet). Thanks for sharing your experiences! Thanks! Appreciate it! It took me quite a while to get around to writing it as well–it was a difficult topic! Look forward to reading about your experience there too! So, we finally got around to writing about our experience taking the Paddy Campbell’s Famous Black Taxi Tour in Belfast. Our conclusion is that the difficult Troubles period is certainly part of Belfast’s past, but does not define it. Thanks for sharing your experiences. That’s a great conclusion–I’ll have to go take a look at your post and experience. Thanks! 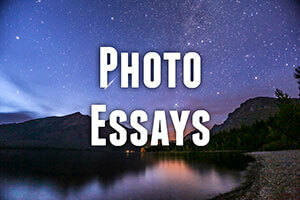 Such powerful photos – thank you so much for sharing! It is a big issue that has some very divided opinions and some very passionate, for want of a better word, views. I think you handled a sensitive situation very well. Contented Traveller recently posted…Soft kitty, warm kitty …. Thanks, glad to hear that 🙂 Very passionate views indeed! Great pictures – brings back memories of the time we spent in the area. Thanks for all of the info – you definitely need to know the background and history before traveling here to appreciate the city and it’s “street art”. Thanks! Yeah, I agree, the tours and additional info make the art and the history of the city mean so much more! The guides will have many of their own personal stories to share with you if you ask, but beware, the Northern Ireland accent is a breed of its own! It can be very hard to understand everything due to the accent, but we had a great guide and were able to understand most everything he was saying. Yeah that accent is definitely quite hard to grasp! 🙂 We had the same–great guide with a strong accent, lol! Glad you had a good time t00. Lots of interesting stories on the tour for sure!